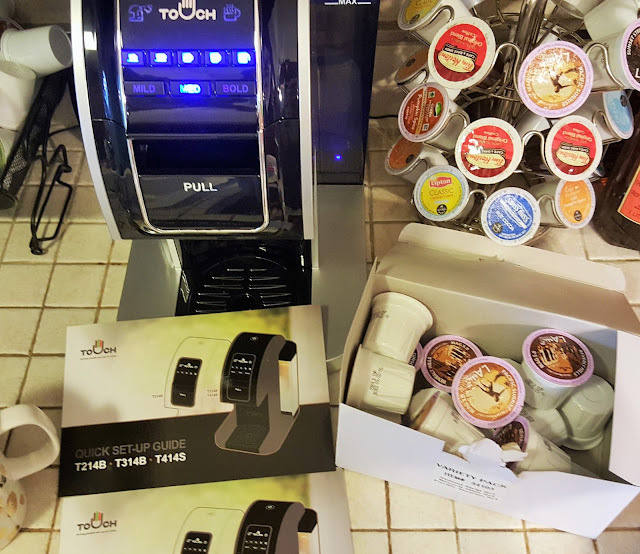 It is no secret that we have an addiction to coffee and coffee makers in our house. 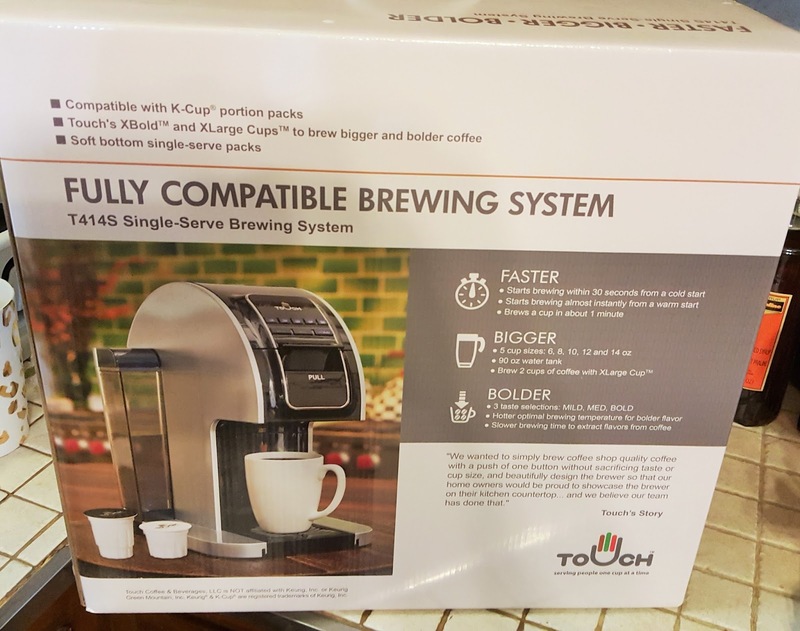 I am always on the hunt for the newest and fastest brewing system for our house. The faster and hotter I can get my coffee the safer everyone is from Momster! 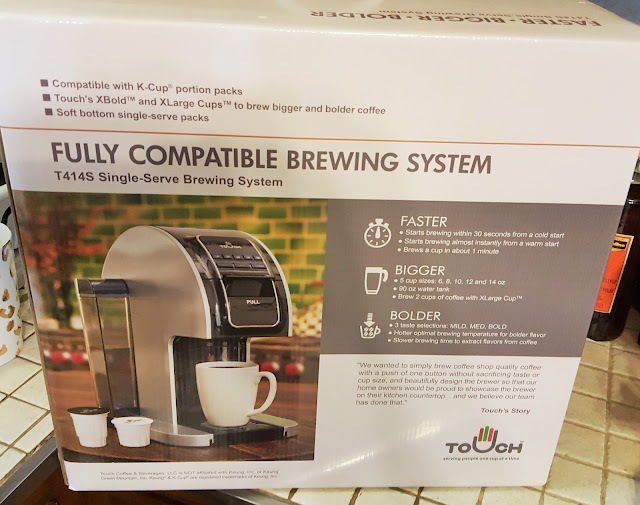 I came across the Touch T414S brewer while searching the internet. This brewer really caught my eye and sparked my interest. 5 Cup Sizes: 6, 8, 10, 12 and 14 oz. I love that I can have my choice of coffee strength because there are times when I can really use a Bold cup and times when I like a mild one. The temperature of my coffee is amazing, it comes out piping hot in a matter of seconds. Much faster and hotter than the other brewers. The Touch 414S takes up less counter space than leading brewers giving me room for my favorite syrups. With an msrp of $229.99 the Touch 414S is affordable and so worth every penny in my eyes. 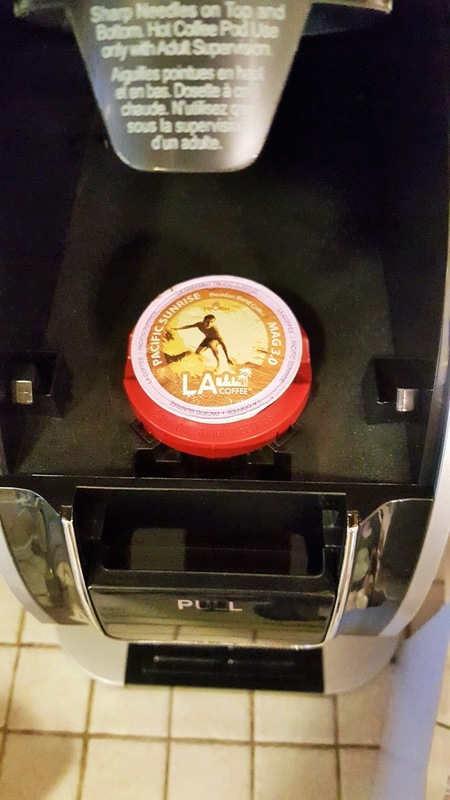 With our Touch 414S we also received samples of the signature L.A. Coffee, which is inspired by landmarks in L.A. such as Pacific Sunrise, Sunset Strip and Beverly Hills. The X Bold cups have a larger capacity than leading cups. 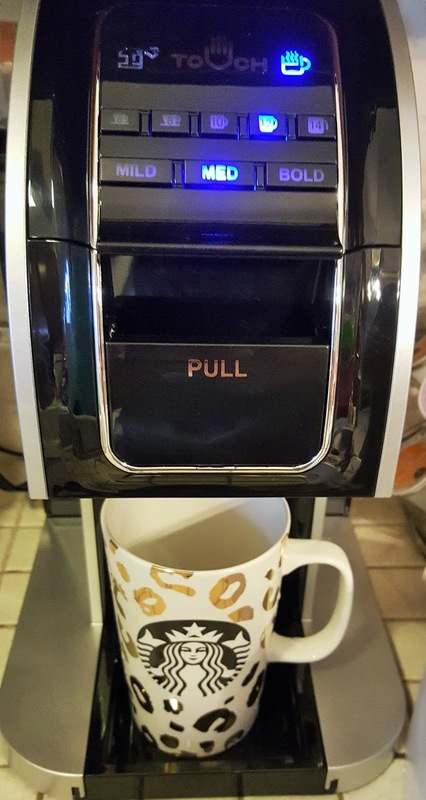 This allows for more than 30%of coffee per cup. 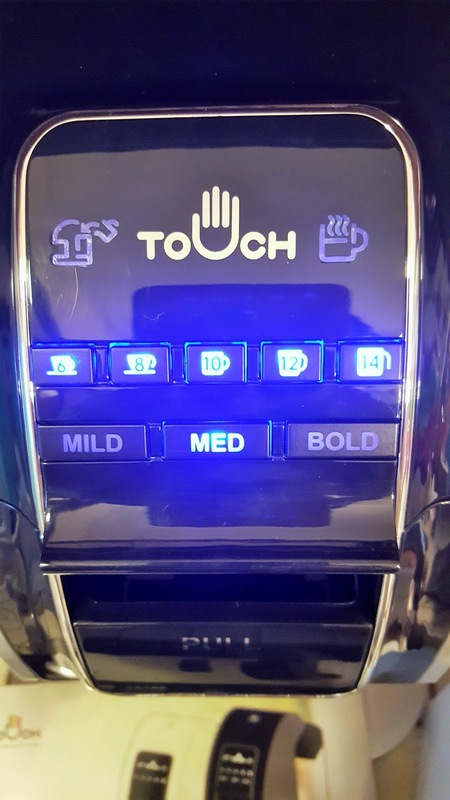 They also feature Touch's patent-pending Flavor Grooves, which swirl coffee grinds during the brewing process to release bold aromoas and flavors and extract every drop of coffee.